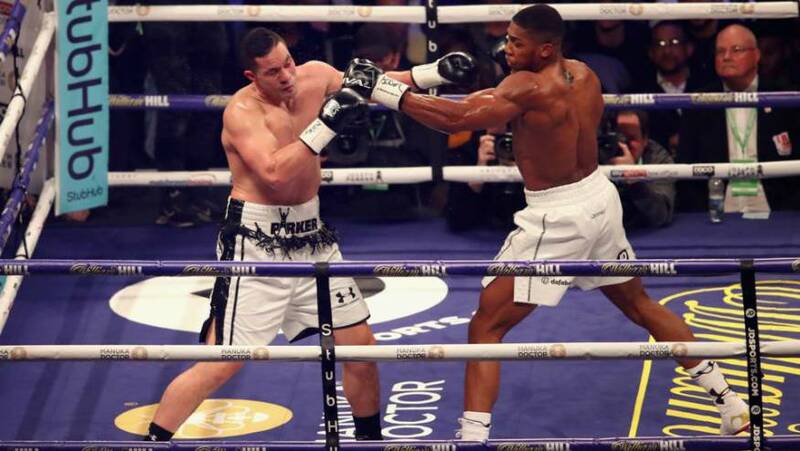 British-Nigerian heavyweight champion, Anthony Joshua’s money bank is set to get larger as his victory over New Zealand fellow boxer, Joseph Parker in the unification fight in Cardiff on Saturday night is expected to earn him between £18million and £20million. 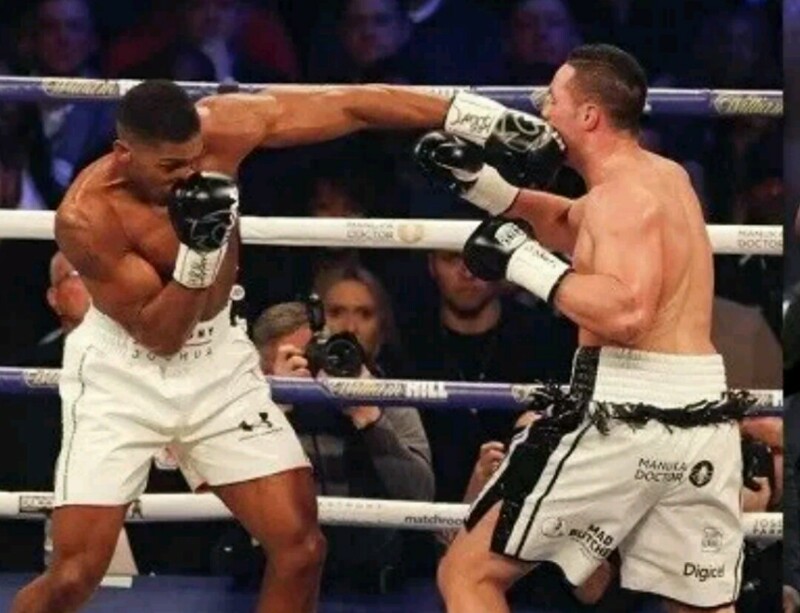 This new paycheck will take Joshua’s gross earnings from three fights to £50 million, according to reports. Joshua will even take home more money if he faces the undefeated WBC heavyweight champion America’s Deontay Wilder, who recently produced a tenth-round stoppage to beat Joe Ortiz. 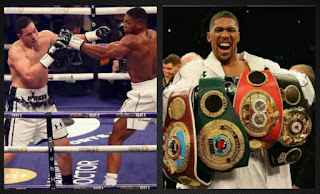 The mouth watering fight is being scheduled for the last quarter of the year, according to Joshua’s promoter, Eddie Hearn. The size of Joshua’s paycheck was determined by two factors, his being the home fighter and his being the headline name on the card. Parker is expected to earn £13million, far more than the £1million pocketed by Joshua’s previous opponent, the Cameroonian Carlos Takam. Joshua then pocketed £15million. Their earnings form a proportion of the revenue from pay-per-view TV sales and sponsorship deals with the bout being shown live on Sky Sports Box Office. Joshua’s promoter Eddie Hearn recently revealed a world unification bout was provisionally pencilled in for November or December 2018. 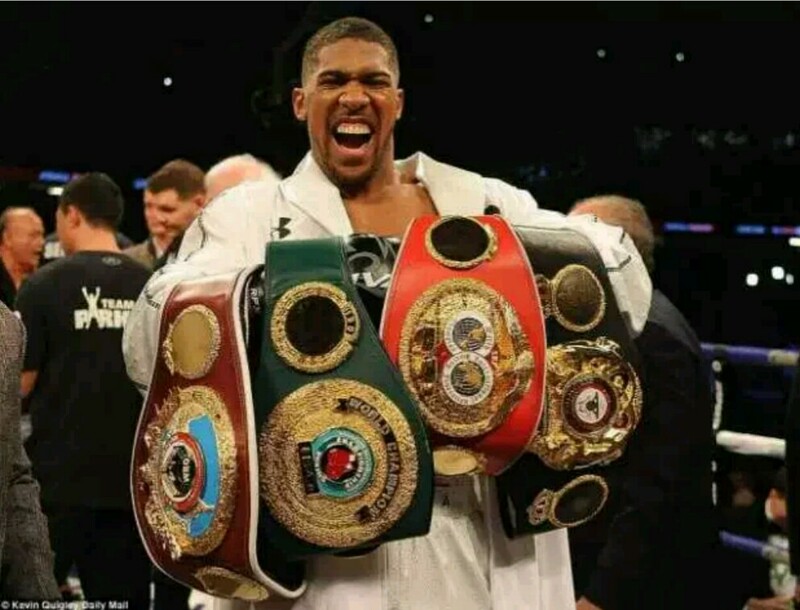 Anthony Olaseni Joshua was born October 15, 1989 in Watford to a Nigerian mother and a father of Nigerian and Irish descent but grew up for much of his early years in Ijebu-Ode Nigeria. He ventured into boxing out of boredom as he was only looking to becoming a builder though he was bricklayer at that time before his cousin, Ben Ileyemi, who is a fellow unbeaten professional boxer dragged him to Finchley Amateur Boxing Club back in 2007. He earned a place on the GB Boxing team in 2010 and later the same year he became British amateur champion at the GB Amateur Boxing Championships after defeating Amin Isa. Joshua secured his place at the 2012 Olympic Games in the 91 kg+ division as a relative new-comer to the elite level of the sport where he eventually won a Gold medal. He was appointed Member of the Order of the British Empire (MBE) in the 2013 New Year Honours for services to boxing. On July 11, 2013 it was confirmed that Joshua had turned professional under the Matchroom Sport promotional banner. In 2011, he was charged with possession and intent to supply a class b drug after he was pulled over by police for over-speeding in Colindale, North London and was found with 8 ounces of herbal cannabis hidden in his sports bag in his Mercedes Benz. The offence carries a maximum of 14 years sentence. He was suspended From GB boxing squad and was sentenced to a 12-month community order and 100 hours unpaid work after pleading guilty at crown court. He won the vacant Commonwealth Heavyweight title by stopping Gary Cornish in the first round at the O2 Arena on September 12, 2015, same year his baby son, Joseph Bayley Temiloluwa Prince Joshua was born. Joshua defeated Charles Martin to win the IBF World Heavyweight title, his first professional world title, on April 9, 2016 with a knockout in the 2nd round. The pugilist whose first ever payment after a win was £120 laundrette bill and most recent win netted him £15m received backlash on the social media for a photo of himself he posted in January 2017 praying at a mosque in Dubai.